"The houses on the hills are necklaces of light, then along the right, the bay almost laps the freeway. I watch for a certain curve coming up. After rounding it, suddenly the whole city rises, the stark white skyline. As we drive in, I anticipate the breath-stopping plunges over hills and glimpses between buildings where I know there's a wedge or slice or expanse of rough blue water." Arriving yesterday was just as Mayes described it; it always is. The beauty of San Francisco socks me in the gut every time, and no matter where I'm coming from, I get the feeling I'm arriving home. 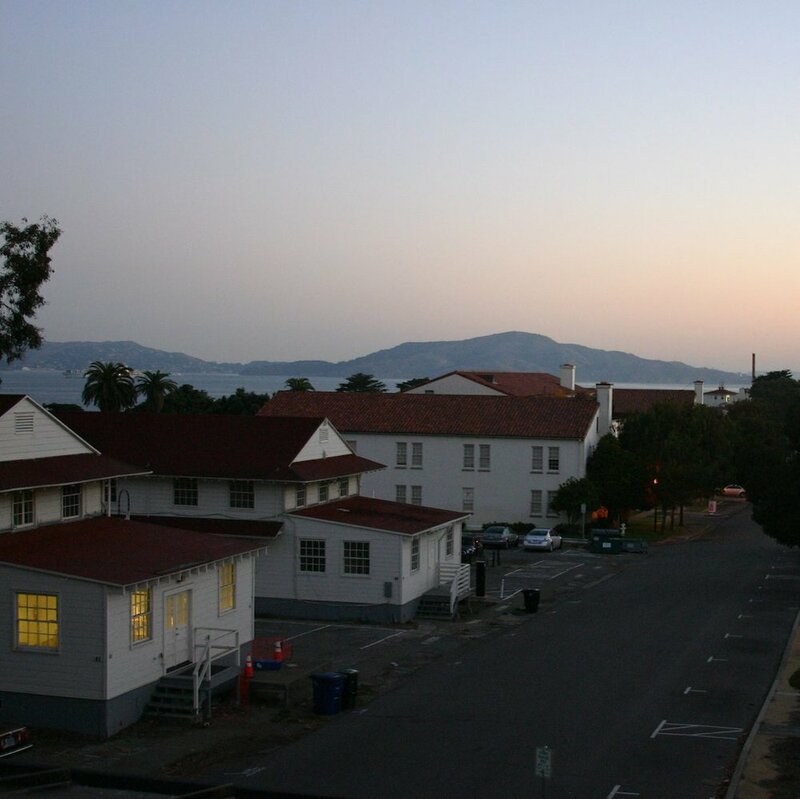 But as visually arresting and intoxicating as the landscape is, it's the smell of the pristine Presidio rather than the sight out the windows that pulls me in. "Whatever a guidebook says, whether or not you leave somewhere with a sense of place is entirely a matter of smell and instinct." Mayes is clearly a writer who's been here, inhaling eucalyptus on the peaceful morning air. Perhaps she understands why the scents and sights of this city make it difficult to sleep at the thought of beginning another San Francisco day.